Many people think that their granite countertops are completely maintenance free, but that’s not exactly true. In order for a granite countertop to resist staining and be easy to clean it must be properly sealed when installed and then periodically be resealed too. 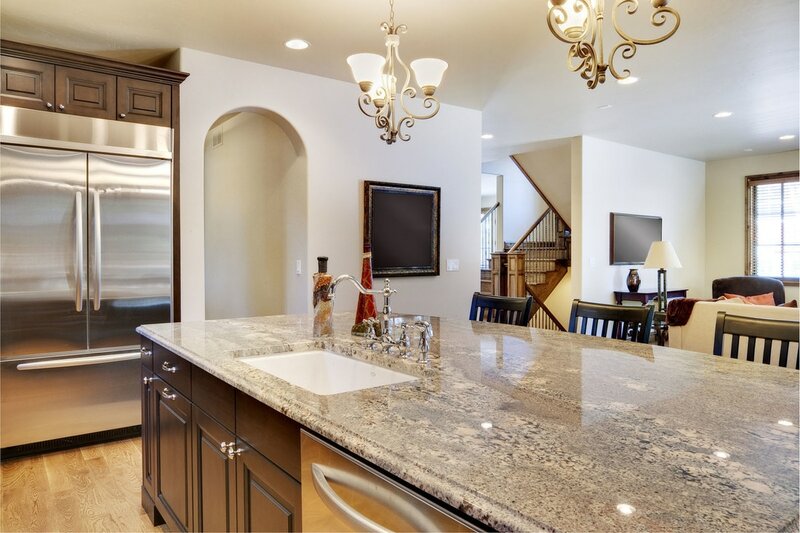 Although we highly recommend hiring a professional company, DIY granite sealing is an option if budget is a greater consideration than quality. This is true with other stone countertop materials like marble, sandstone and slate too. First, you need to find a sealant that penetrates deeply. That’s the key to keeping your stone countertops stain free and looking great. Deeper penetrating material also helps keep mold from forming in microscope grooves and bacteria from collecting in there too. 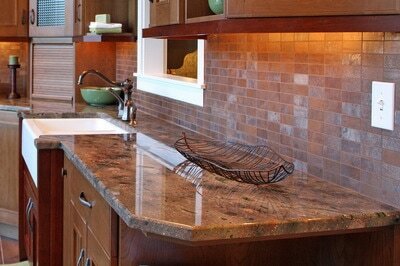 It also helps make your granite and stone countertops very easy to clean up. To seal a granite countertop the right way you need a deep penetrating sealant known as an impregnating stone sealer. 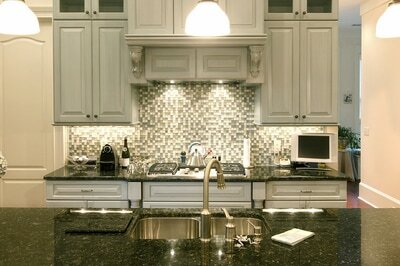 They are the choice of stone countertop sealant that professional natural stone companies like to use. One of the top-rated impregnating sealers is called Tenax Hydrex Impregnating Stone Sealer. It is a professional grade sealant that has been proven to keep moisture out of microscopic crevices in stone and granite countertops, so mold growth and bacteria collection no longer happen on a stone countertop’s surface. The best sealants are mineral based sealants because they offer maximum protection. They will often come in kits that include everything you need to seal, clean and buff your stone or granite countertop. They should be usable on granite, sandstone, marble or any other stone surface. A quart of this sealant should be able to cover 160-180 square feet. It should leave no residue and be invisible once it dries. The sealant should not alter the stone color in any way. Once dry the surface should easily repel all water-based liquids and oils. Most mineral sealants such as Tenax Hydrex Impregnating Sealer not only come in kits with everything you need to seal your stone countertop, but they will also come with very good instructions. You first have to clean your countertop. To do this you can use a mild detergent soap mix or a store bought stone countertop cleaner. Make sure you get every inch of the countertop clean and free from grease and oils. Allow the cleaner to dry completely. A hair dryer or fan will speed up the process. Once completely dry use a separate clean lint-free cloth to liberally apply the sealant over the entire granite or stone countertop surface. Make sure you apply the cleaner to the countertop backsplash and edges too. Wait 10 minutes for the first coat of mineral based sealant to dry and then apply a second coat the same way you applied the first. Do not use that countertop for the next 24 hours as the sealant takes that long to completely dry and cure. Now that you are finished, your countertop will once again nicely repel the buildup of mold and harmful bacteria. It will also repel water and oils and help keep the stone surface from getting stained. Despite this fact, you should still wipe up any liquid immediately after its spilled on your marble, slate, granite or sandstone countertop. Each sealant kit will also tell you the amount of time before your countertop needs to be seal again. You should strictly adhere to this schedule in order to keep your stone countertop sealed as good as possible at all times. If you would like more information about sealing your stone countertops or have any other countertop questions, call the experts at Stone World at 407-341-4688 and we would be happy to answer them for you, or provide you with a free quote to seal stone countertops.